There is something about Brussels that keeps people coming back. It might be the atmosphere, the culture, the food, the stunning architecture, or perhaps a mix of it all. 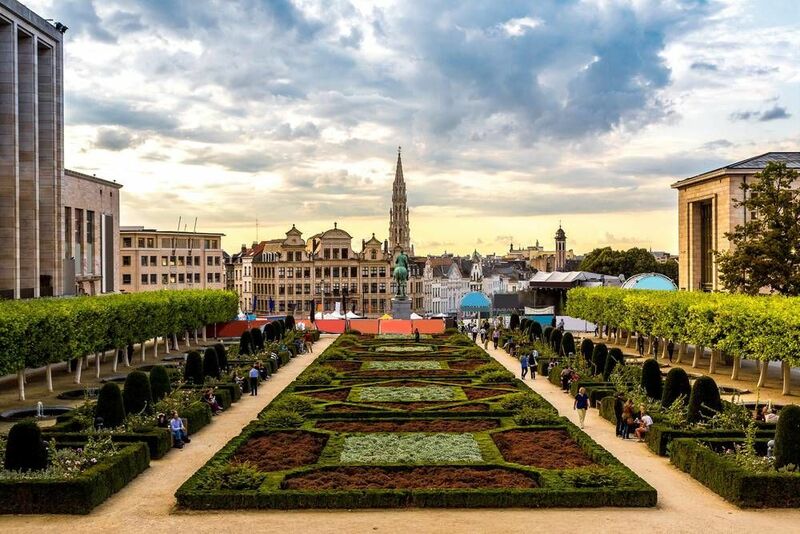 Whatever it might be, it is easy to say that Brussels is one of the perfect destinations in Europe to begin a travel adventure, enjoy a relaxing vacation, or just take in the culture. There are over 800 kinds of beers made in Belgium. With this in mind, it’s easy to say that Brussels is a paradise destination for the beer connoisseur. For the chocolate lover, there is no better place to be that Brussels. A trip to Brussels is not complete without a visit to the Grand Place, a market square surrounded by guildhalls. Also stop by the Town Hall and be amazed by one of the tallest edifices in the city. Don’t leave without paying a visit to the Cathedral of St. Michael and St. Gudula. Free Walking Tours Brussels: take a walk through the old quarter of the city, the place where Belgian life began. We´ll talk about the small Manneken Pis, the Grand Place, the best spots to grab a bite to eat in Belgium, the city´s history and much more. Free Walking Tour Up-Town Brussels: try the delicious Belgian chocolate along a route that will lead you through a very classy and palatial Belgium. We will visit the Grand Sablon neighbourhood and the European Quarter as well as the Mont des Arts area. Free Tour Art Nouveau Brussels: the Modernist architecture and style has overtaken the city. If you would like to know more about the art that has transformed Brussels… follow us! Trip to Bruges and Ghent from Brussels: make the most of your trip by visiting two nearby important Belgian cities in one day. Transport and Spanish speaking guides are included. Tour Belgian Chocolate: if you like chocolate and anything sweet then this route will inevitably make you fall in love. Even if desserts are not quite your thing… our tour complete with Belgian chocolate tasting is sure to sweeten your trip! Tour Brussels Beer: we will toast to the great moments in life and to the unforgettable trips. Beer tasting is included. Do you want to know more? Check out what we have prepared for you. We´re ready and waiting for you! Are you from Brussels and want to be a tour guide? Please get in touch by submitting your details on this page!